Chick-fil-A donated 100 percent of the sales Tuesday night between 5 and 8 p.m. to Mulford’s medical expenses. She is battling neuroblastoma, a rare form of pediatric cancer. Aerial shot of Chick-fil-A from the Voorhees Police Department’s drone. 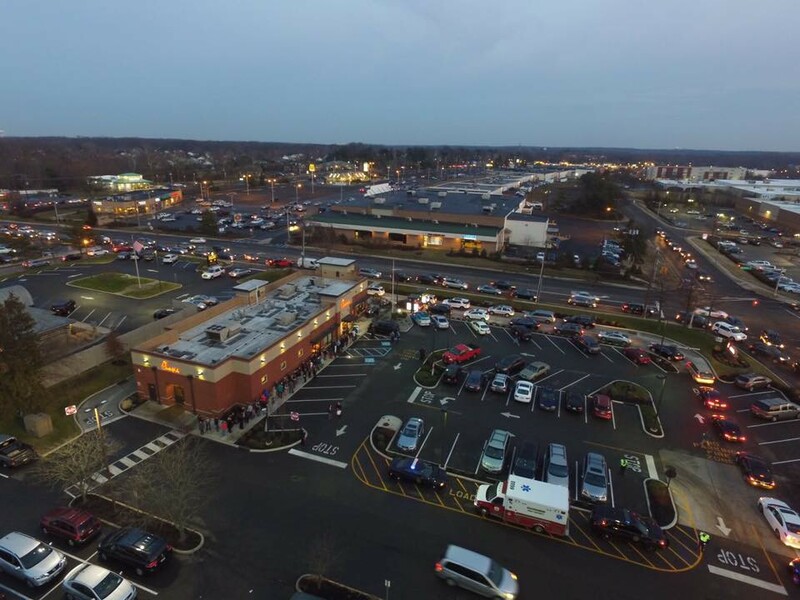 On Tuesday night, there was a standstill on Somerdale and Evesham Roads leading to Chick-fil-A, and police helped direct cars entering and exiting the parking lot due to the heavy volume. The line of people waiting wrapped around the restaurant and went all the way to the drive-thru. According to the Voorhees Township Police Department, the number of people exceeded one thousand. Some waited for almost an hour, but there were no complaints. It was all for one girl who is going through the toughest fight of her life. 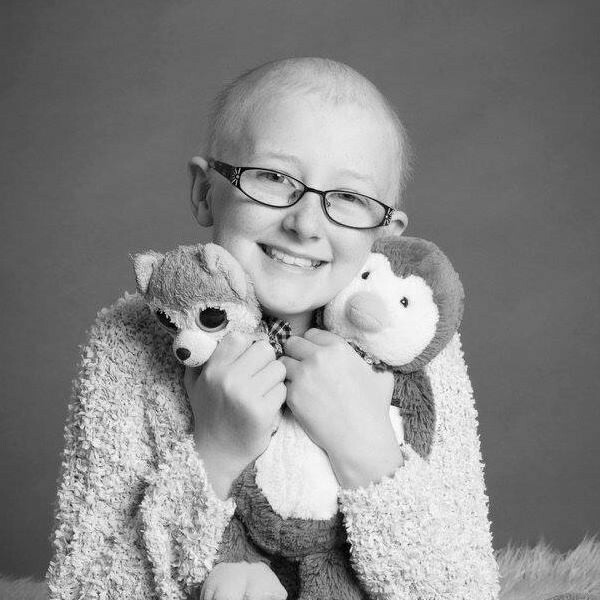 Brooke Mulford, a 12-year-old student at Voorhees Middle School, has neuroblastoma, a rare form of pediatric cancer. She’s been battling the disease since she was four, and the medical expenses keep piling up. Chick-fil-A held a fundraiser and donated 100 percent of the sales between the hours of 5 and 8 p.m. toward those medical expenses. You read that right — 100 percent. $17,500 was raised, including $2,500 in donations. People who didn’t even know Brooke came to show their support, like Karen Ross of Stratford who brought her six-year-old daughter, Mary. Karen said she found out about the fundraiser through Facebook. Tamera Cupschalk of Voorhees also found out about the fundraiser on Facebook and just like Ross, she is familiar with what the Mulford’s family is going through. “I have an older son with a brain tumor and if I can help a little girl who’s struggling like this, then I want to help no matter what, no matter how long the line is,” she said. “This restores my faith in humanity,” said her son, Benjamin. Brooke and her mother, Amy, were not able to attend because Brooke was in the hospital until Sunday and they didn’t want to risk Brooke getting an infection. Amy’s mother, Jean was there and couldn’t stop crying as she spoke to Amy on the phone because of all the friends, family and strangers that went to support their family. Matt Williams, the general manager of Chick-fil-A, had only met Brooke and Amy less than a week prior. His wife, Diana, follows Brooke’s medical updates on Facebook and saw a post about her having emergency surgery at Children’s Hospital of Philadelphia on Monday, Jan. 30. Diana showed Matt the post the following day and he met with his employees at Chick-fil-A Wednesday. Williams and his employees not only delivered dinner to Brooke and Amy, but to the entire oncology unit at CHOP. Williams wanted to help the family more. He rounded up his employees again and that’s when the idea of having a fundraiser came to fruition. Voorhees Chick-fil-A has done fundraisers before, but donating 100 percent of sales was something they’ve never done. Williams didn’t think twice about it. Williams said he could not get the picture of Brooke on Facebook after she as got out of surgery out of his head and it’s all he thought about since that day. For those who weren’t able to attend the fundraiser and which to donate, visit the Brooke Mulford Foundation’s website at http://brookemulfordfoundation.org. The foundation raises funds for neuroblastoma research at Children’s Hospital of Philadelphia.